Instagram has become an important part of today’s youth. We Instagram when we are happy and when we are not so happy; when we are celebrating and when we are not celebrating; when we are working and when we are partying. Slowly, Instagram has become an important part of our lives and thus, it becomes crucial to understand the importance of this platform and how we can grow with it- personally as well as financially. 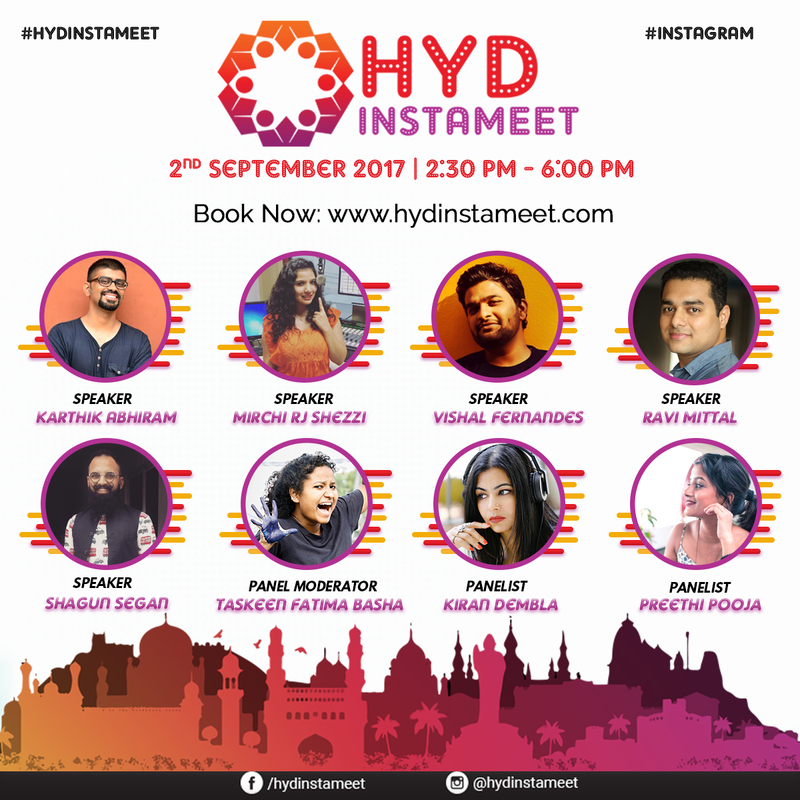 For this purpose, the Instagrammers unite in the city of Hyderabad on September 2, 2017. This would be a great opportunity for #InstaLearning #InstaGrowth #InstaFriends #InstaFood #InstaCollabs. The stage is Yours! – We give every attendee a chance to pitch their Instagram accounts to the audience. Tell us about yourself, your account, and why we should follow you. But keep it under a minute. The winner would win a ticket to TEDxHyderabad 2017. Treat your eyes and your taste buds with some great food. Make new friends and collaborate with them.